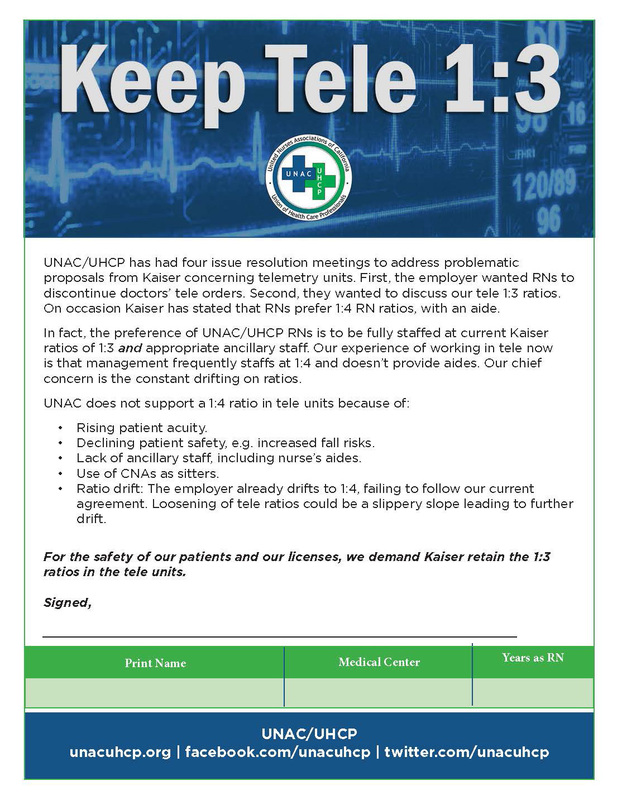 UNAC/UHCP has had a number of issue resolution meetings to address problematic proposals from Kaiser concerning telemetry units. On February 27, the labor and management workgroup created to address telemetry concerns reached agreement on the discontinuation of cardiac monitoring by registered nurses. It was decided that doctors will continue to place orders and discontinue tele monitoring. Tele ratios will also remain intact at 1:3. This victory was due to the engagement of members. 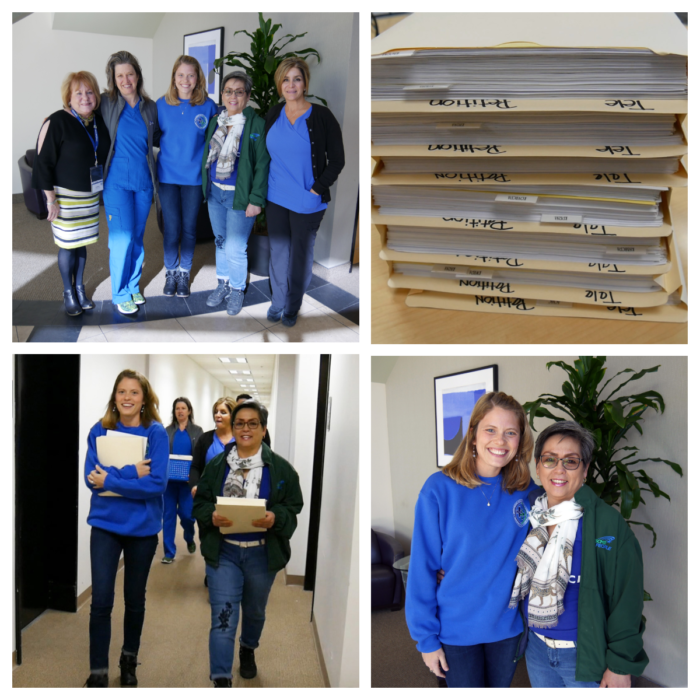 In September 2017, more than 3,000 UNAC/UHCP members took action and signed petitions calling on Kaiser to maintain the existing process for discontinuing telemetry monitoring. Yesterday a team of RNs presented 2,000 more petitions to Kaiser management, this time regarding the 1:3 nurse-to-patient UNAC ratios in tele units. All members who signed the petition were clear in our demands – for the safety of our patients and our own licenses, we demanded that Kaiser retain the 1:3 ratios in the tele units. Baldwin Park RN Monika Reynolds, Orange County Anaheim RN Marilyn Perete, and our SEIU 121RN partners told the story of why 1:3 ratios in the tele units are important to ensure patient safety and to honor our commitment to the highest quality care. As we move forward with implementation, the workgroup will continue to meet in March and April to address issues and to sustain our staffing ratio agreements. We stood strong together, and Kaiser heard us. As frontline RNs and health care professionals, we will continue to advocate for our patients and our own scope of practice. CLICK HERE to view the text of the tele petition.